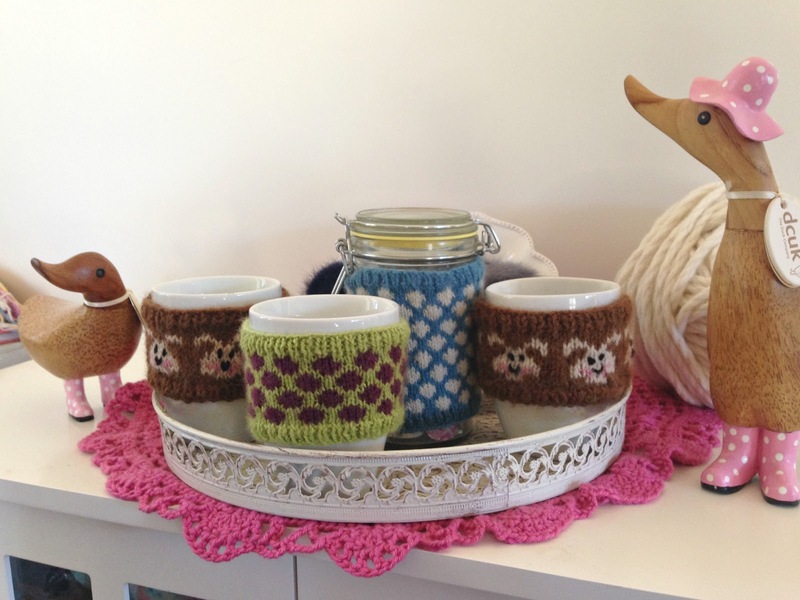 The mug cosy knit-along has finished, and what a lovely KAL it was! 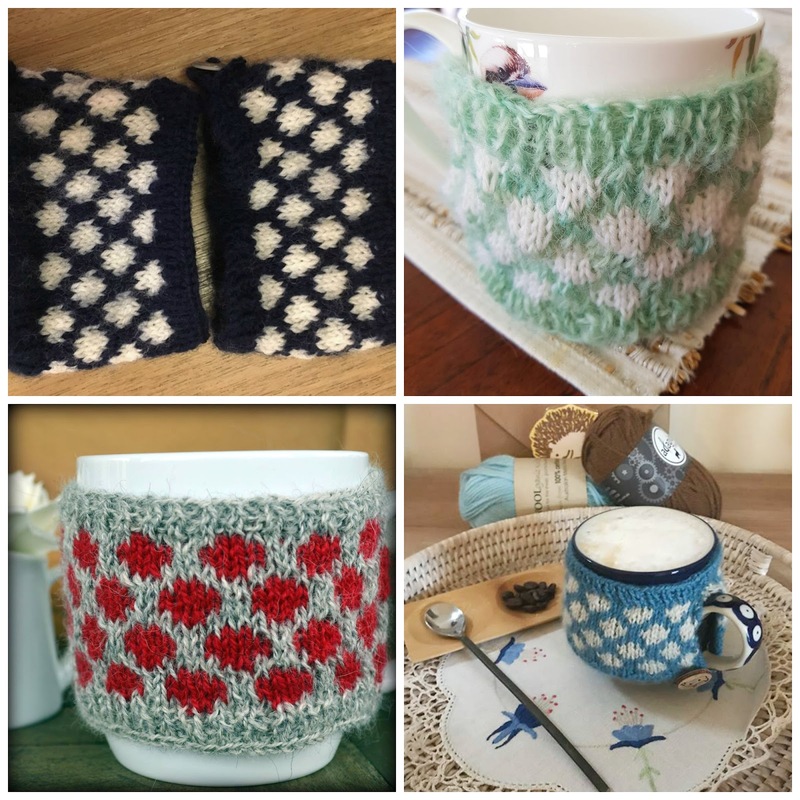 I'm so thankful to everyone who joined in, and it's lovely too that everyone has had such a wonderful time knitting their cosies. 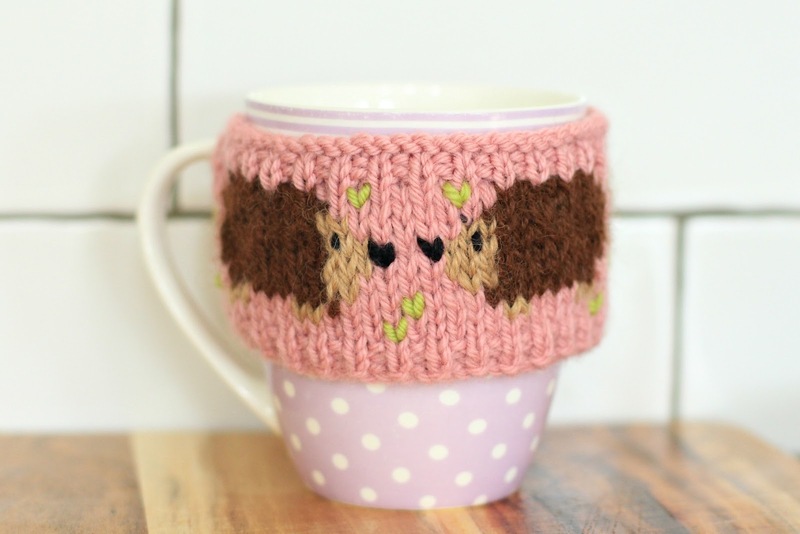 I made the Happy Hedgehogs cosy for mine, but the most popular choice amongst the KAL knitters was definitely the Darling Dots cosy - perhaps because it's ideal for first-time colourwork knitters. 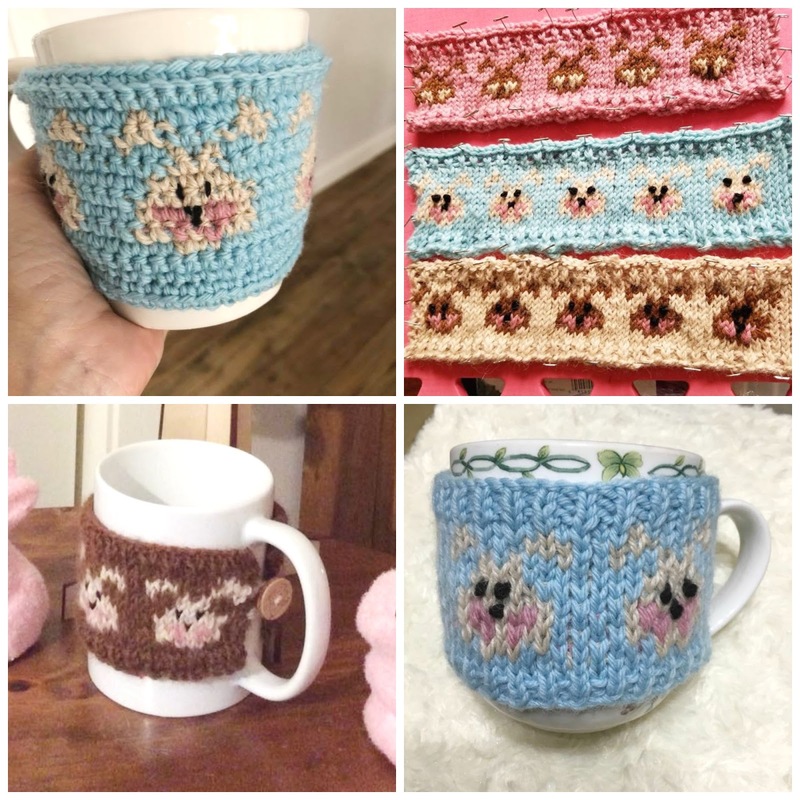 I've done a round-up of the photos that were shared of the KAL cosies below so that you can see them all! 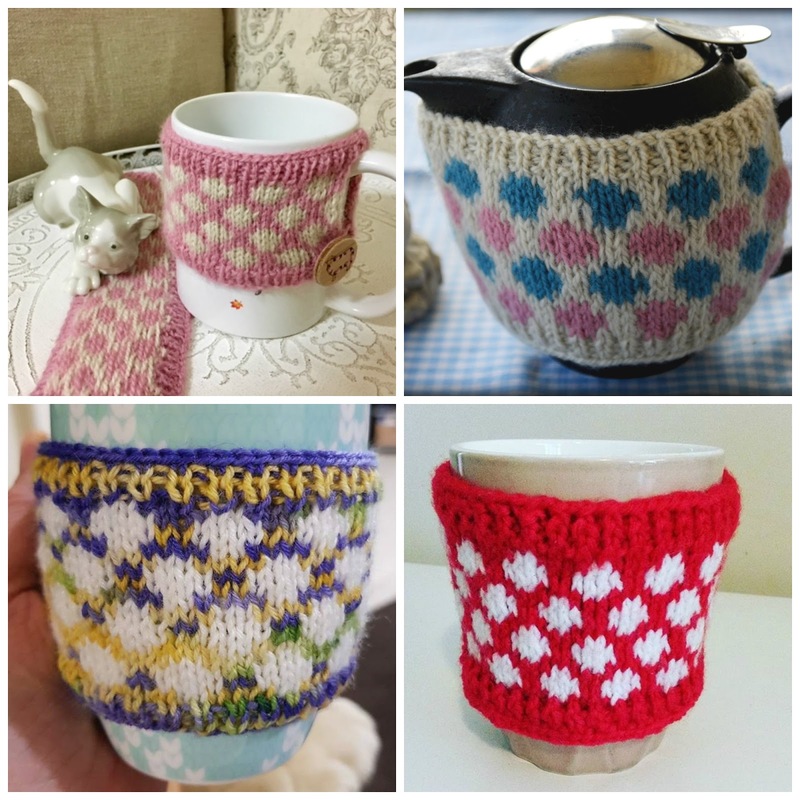 I love that this KAL inspired so many to try colour work knitting for the first time - and we even had a crocheted version of the Marshmallow Mug Cosy, too! I'm super excited to run another KAL, hopefully, sooner rather than later. I don't think I've got time to run one before Knitfest, but you never know! 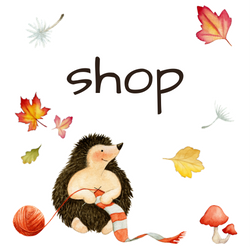 The winner of the KAL giveaway (drawn by random number generator) was Kate who made four beautiful cosies - her's are the collection of four featuring the Hedgehog Buttons. Everyone's work was so lovely I'm glad that it was up to the number generator to pick a winner as I certainly couldn't have! 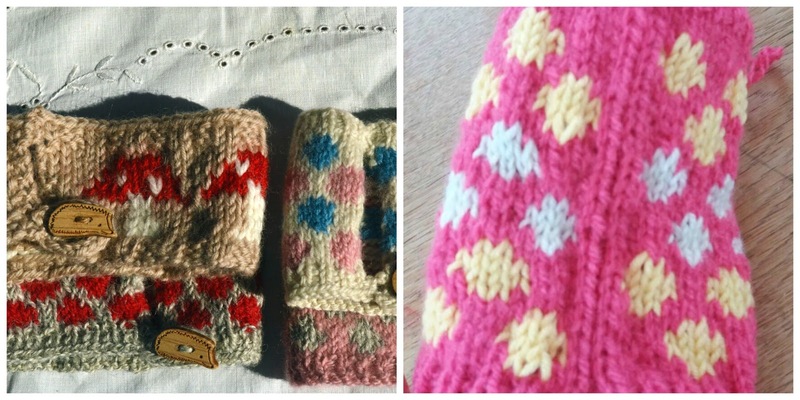 I'll leave you to admire the cosies now, as I'm feeling pretty worn out (in a good way) after teaching my workshop yesterday. It was lots of fun and I can't wait to do it again! I'll have a blog post about it up early next week. 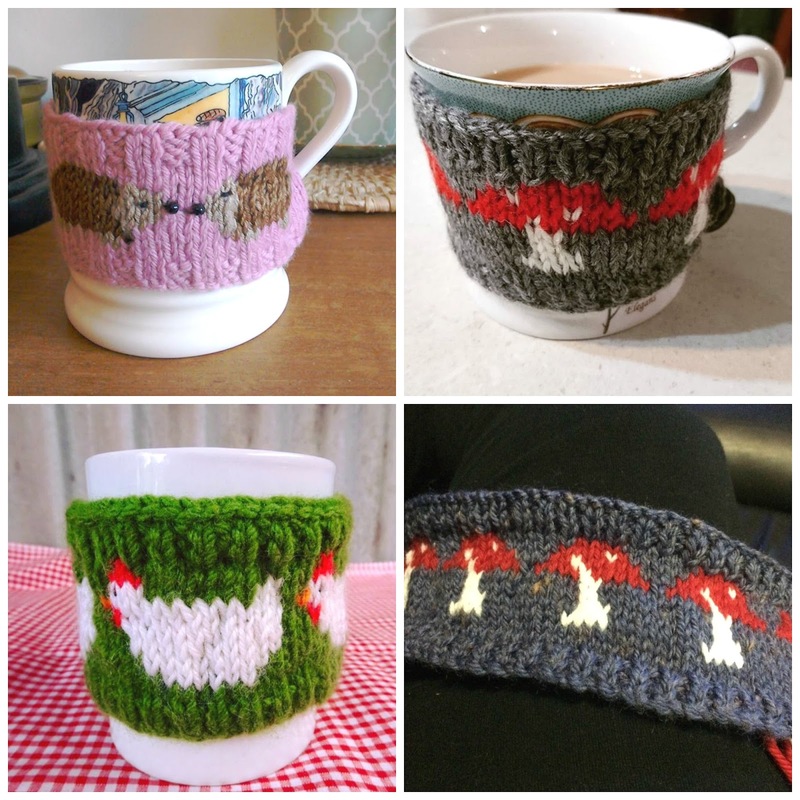 PS If you joined the KAL and your cosy photo is missing from here, please contact me and I'll add it to the post.